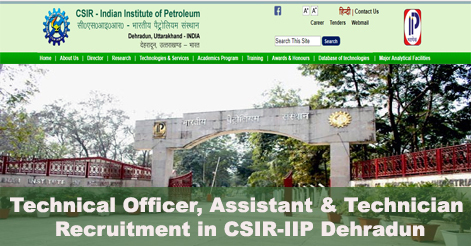 CSIR-Indian Institute of Petroleum, Dehradun invites applications from eligible Indian nationals for the posts of Technical Officer, Technical Assistant & Technician. CSIR-IIP Dehradun has released notification for the recruitment of 14 posts of Technical Officer, Technical Assistant, & Technician. Last Date of online submission of application form is 16 August 2018. CSIR-IIP Dehradun is a premier institute under the Council of Scientific and Industrial Research (CSIR) is dedicated in multidisciplinary R&D programmes of both basic and applied nature across scientific disciplines for economic, environmental and social benefits for the people of India. All the details about the education qualification and work experience are given in the official notification of the recruitment below. Candidates belonging to General and OBC category are required to arrange to deposit fees for Rs.100/- through SB Collect. SC/ST/PH/Women/CSIR Employees/Abroad Candidates are exempted from submission of application fee. Selection of candidates will be based on online examination and interview process. · For the post of Technical Officer [Gr-III (3)]: Interview from amongst shortlisted candidates. Help us to improve this article/job posting "Technical Officer, Technical Assistant & Technician Recruitment in CSIR-IIP Dehradun". We would be glad if you can comment below and provide your valuable suggestions and feedback. If this page have any wrong information/list or out of context content, then you can report us as well. Sir iska admit card kb jari.Hoga? When will be the admit card Will be issue and exam date announce. 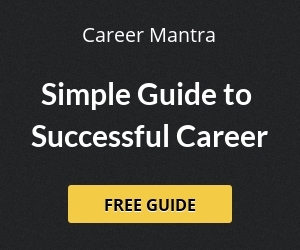 When will the exam be conducted for CSIR Advertisement No. 4/2018 for Technical Officer Group-3, Post code: IT-1 ? Any information regarding for the post of technical officer. PLEASE PROVIDE PRESENT STATUS I.R.O RECRUITMENT OF TECHNICAL OFFICER. REFER ADVT NO. 04/2018. When will the exam conduct for Advt.04/2018 for technical assistance,. And please inform exam admit card.